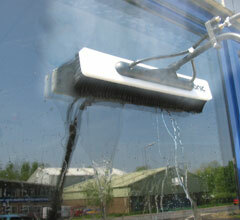 At Clean Assured we have the equipment, training and experience to meet your commercial window cleaning requirements. We can clean your premises utilising the latest cleaning technology and hot water systems delivering incredible cleaning results up to 80ft high without leaving the safety of the ground. We can provide you with a range of high access platforms with qualified and experienced operators to go even higher. Have a look at our range of additional services including commercial gutter cleaning, high level jet washing, signage cleaning and graffiti removal. Clean Assured are committed to delivering the best possible service to our clients. We aim to be as efficient as possible, using ground based technology where appropriate, and our high access platforms when necessary to provide high level commercial window cleaning on higher buildings. 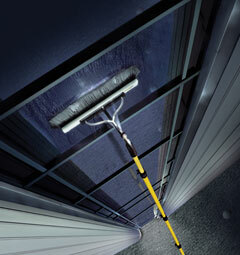 Our team are all fully trained, and can be relied on to provide a fully professional commercial window cleaning service. When on site they are in uniform and observe the correct health and safety requirements at all times.